The film will have its U.S. theatrical premiere in New York City April 20 and then roll out to select theaters across the country, including Los Angeles and Miami. In After Auschwitz, filmmaker Jon Kean examines the question, "What happens after surviving an unspeakable horror?" with six stories of remarkable women who survived the Holocaust and went on to build lives in the United States, but never truly found a place to call home. 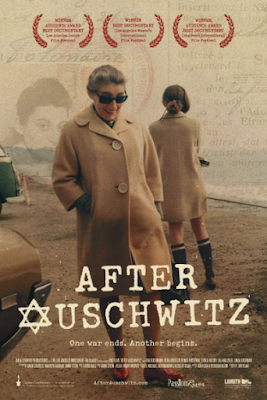 For survivors of the Holocaust, liberation was both an incredible moment and a devastating one. It marked the beginning of a life-long struggle. Most wanted to go home, but there was no home left in devastated post-war Europe. Many came to America and wanted to tell people about their experiences, but were silenced. "You're in America now, put it behind you" is what they were told. The women Kean follows became mothers and wives with successful careers, but never fully healed from the scars of the past. According to a recent NY Times article (nyti.ms/2ERVI6b), the Holocaust is fast fading from memory. Many people lack both basic and detailed knowledge of what happened, including the actual number of people who perished. In addition, more than half Americans believe the Holocaust could happen again. With these troubling new findings, it’s more critical than ever to ensure that people remain aware and educated about the Holocaust - a lifework to which all the women inAfter Auschwitz dedicated their lives.